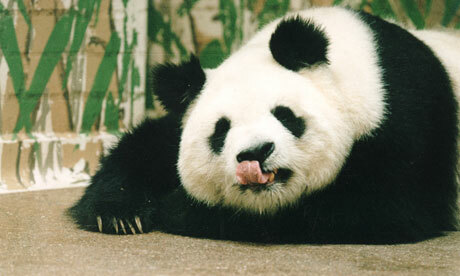 World’s Oldest Panda, named Ming Ming, aged 34, dies in China. Che, this is sad.I love Panda’s . When i hear such news about them i become sad. The Panda, Ming Ming died last week at the Xiangjiang Wild Animal World in Guangdong Province, Chinese daily The Global Times reported. The female panda had lived at Xiangjiang since 1998, but had also travelled to zoos in London and Ireland during her long life. Vets found that her organs had deteriorated as a result of old age, leading to kidney failure. Pandas do not usually live past the age of 22 in captivity, or 15 in the wild. Well, Panda’s 34 age is like Human living for 80 + years. The fact that the Panda fought hard to survive such long years is a motivation factor for all beings on their right to live and Survive. Next: Schwarzenegger reveals he Fathered Illicit Child!